Kitts Creek - Minimal to no maintenance, unbelievable location, & resort style community amenities make this home a can't miss! MLS#2245171. 4542. Walk up attic offers lots of storage and ready to finish. Gorgeous home in great location! MLS#2241668. 1126. 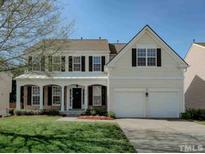 Providence Place - Neighborhood has wonderful pool with slide, play area and walking trails. This one won't last! MLS#2244604. 5026. Preston - All Brick Former Parade Home in PRESTON w/ MAIN FLOOR MASTER.This Executive Home offers an Open Fireplace & Many Updates incl Gourmet Kitchen w/ Granite,TileBSplash,Gas CTop,Double Ovens,Stainless Steel Appliances & Bfast Bar Seating.A Large Bfast Room opens to Scrnd Porch + Osized Deck.Laundry Room Expanded 2011 for Mudrm & Pantry Storage.Master Bedroom features Gorgeous Remodeled bath w/ Heated floors.New Interior Paint.Spacious Sec Bedrooms & WIn Closets.Guest Room w/ Private bath.Bonus or 5th Bedroom.Tankless Hardwood Floors.Private BYard.Irrigation.Minutes to RTP&Airport. MLS#2244167. 989. More pictures and virtual tour to come! MLS#2243845. 2016. Savannah - Relaxing Front & Screen Porches. MUST SEE! ! MLS#2242446. 3051. Top it all up, Great Amenities MLS#2243627. 2943. Keystone Crossing - Located just minutes from RTP and RDU. MLS#2243179. 4917. Pristine condition. Irrigation,New Roof, renovations! MLS#2243297. 1320. Savannah Village - New A/C system for 2nd & 3rd floors 2017. New dishwasher 2017. Welcome home. MLS#2243273. 1758. Phillips Place - Close to all major highways !! A MUST SEE! ! 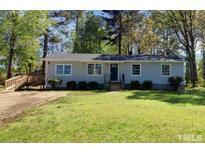 MLS#2242332. 1641. Townhall Commons - Access to a community pool is part of the Town Hall Commons POA. MLS#2241118. 4823. Savannah - Extensive landscaping w/irrigation. Garage w/pull down attic storage. MLS#2241023. 1710. 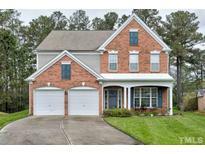 Breckenridge - With an invitation to be outdoorsy in the heart of RTP, a perfect marriage of private Cul-de-Sac and a beautiful creek to frolic in, you get to choose! MLS#2240834. 3894. Keystone Crossing - with the Biggest yard in the neighborhood! MLS#2240889. 1685. Preston - This Home is Meticulously Maintained and Move in Ready MLS#2240545. 4623. 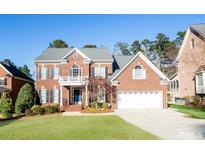 Phillips Place - Close to Parks, Restaurants, shopping, RTP, Airport. Easy access to Hwy 40/54/540/55. MLS#2238436. 3051. Preston - Golf course view with gas grill, fireplace and private hot tub. Top Schools! Convenient to everything! MLS#2238958. 1320. Future land use shows low density residential. Water and sewer is nearby. 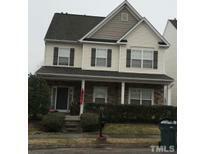 MLS#2238193. 341. Relax outside on the deck or screened porch and take in the amazing golf course views! Water heater 2017 MLS#2237658. 2731.